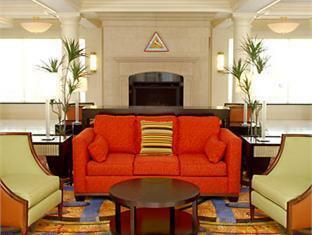 The Marriott Rochester Airport Hotel is perfectly located for both business and leisure guests to Rochester (NY). All hotel's guestrooms have all the conveniences expected in a hotel in its class to suit guests' utmost comforts. 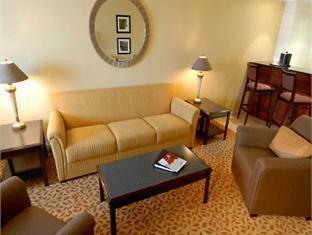 Each guestroom has non smoking rooms, air conditioning, bathrobes, daily newspaper, inhouse movies, desk, hair dryer. Hotel facilities offered at this Rochester (NY) accommodation include shops, elevator, bar/pub, laundry service/dry cleaning, meeting facilities. The hotel offers indoor pool, jacuzzi, gym, sauna to provide extra pleasure and relaxation for all guests. The hotel creates a balance of rich culture and modern convinience to ensure you a memorable stay. For your reservation at the Marriott Rochester Airport Hotel Rochester (NY), please select your dates of stay and fill in our secure online booking form.